August 18-20 Hollywood News Source covered Wizard World Comic Con Chicago. Read about it below! Confession: I have never been to a comic con before. I had no idea what to expect, but I can honestly tell you it went beyond any expectations I could have had. 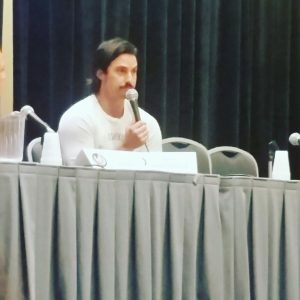 From the talent to fellow reporters to attendees to the employees of Wizard World, there was not one person that didn’t make you feel welcomed. Thursday was the kick-off to the exciting weekend to follow. As soon as I stepped into the Donald E Stephens Convention Center, I was met with a crowd of people awaiting the opening of the vendors and artist alley. I went to get my press band, and then I headed to the stage for a ceremony honoring the Rosemont safety department presented by celebrity guests. After I was able to interview Cerina Vincent, Lou Ferrigno and Ralph Macchio. (Exclusive interviews coming soon!) With official business being taken care of, I roamed around the premises. I checked out the halls adorned with art, merchandise and celebrity booths. The excitement was contagious, and I found myself eager to return the next morning. Saturday was the perfect close to my weekend since I would not be able to attend Sunday’s festivities. 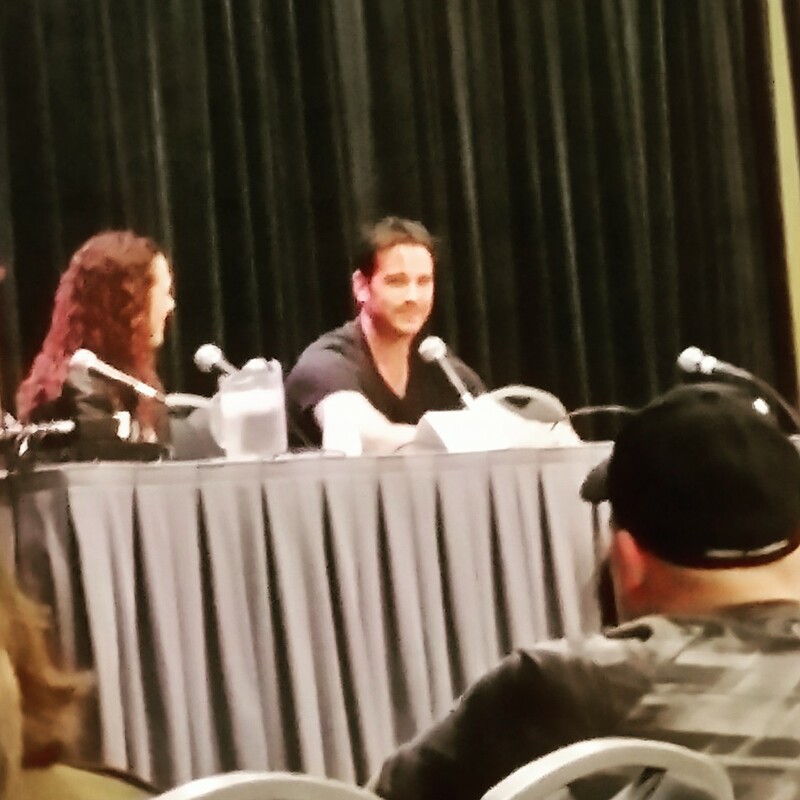 Colin Donnell’s panel kicked off my day. The Arrow and Chicago Med star announces he will be making his debut at Carnegie Hall this fall. Shortly after, Colin decides he needs to reenact his *SPOLIER* death scene in Arrow that had the whole room erupting in laughter. Not only did he keep the room entertained, but he told us he had a major fangirl moment when meeting Charlie Cox and Milo Ventimiglia. 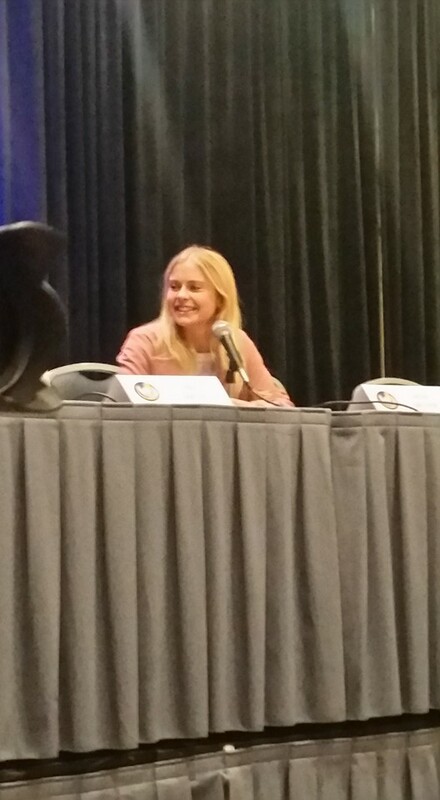 Next in the room was iZombie’s Rose McIver. She reveals that she only goes diva when she has to eat the gelatin brains on the show because they taste awful. When asked what show she would like to do a crossover with, she says that Keeping Up With the Kardashians and iZombie would make a crazy episode. My personal favorite of the panel was when Rose told us she was working on making another appearance as Tinker Bell on Once Upon a Time if her schedule allows. Rose also tells us she’s made great friends with Jennifer Morrison and the rest of the gang. 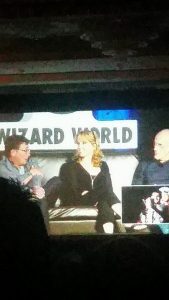 The Back to the Future panel was next, reuniting Michael J Fox, Lea Thompson and Christopher Llyod. Lea admits to stealing a wig on set to which Michael says he regrets not having stolen anything. He even admits when he first saw Lea filming, he thought she was cute, but then realized that she would be playing his mom. The cast of the X-Files had a reunion as well. Gillian Anderson tells fans that they would not want Scully and Mulder to get married. The day ended with the hilarious John Barrowman taking the stage. He strutted out in a Pokémon dress accompanied by some hot pink heels. He had the room in constant laughter as he recounted stories of his life, time on set of Arrow and Doctor Who. A weekend full of laughs, celebrity encounters, and comic culture. Wizard World put on a fantastic show for attendees. As a first time comic con goer, I can honestly say the experience is a great one. Everyone is so welcoming and the excitement coursing through the convention center is contagious.